Facebook’s penchant for hanging on to your data is well documented, so we expect many users were pleased when a developer created a Chrome extension tool that made it easy to export all their information out of the social networking service. 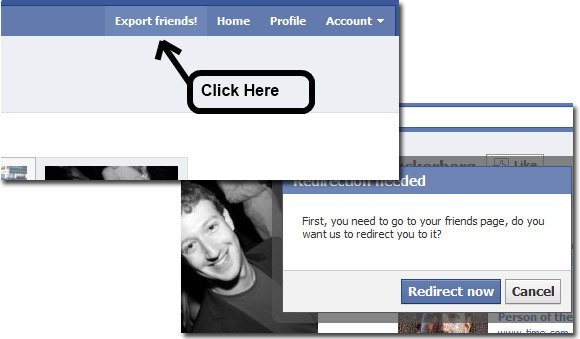 The Facebook Friend Exporter was created by Mohamed Mansour and made it easy for users to save their contacts’ e-mail addresses, birthdays, phone numbers and other information into a text file, ready for importing into a rival service such as Google+, Google’s exciting new social network site. Facebook is trying so hard to not allow you to export your friends. They started to remove e-mails of your friends from your profile by today July 5th 2011. It will no longer work for many people. The attitude of Facebook contrasts very sharply with Google’s more open approach, with their new Google Takeout service offering users a speedy way to cleanly shunt all their personal data from Google products, and save the information in common file formats. We believe that if we make it easy for you to leave Google then we have to work just that much harder to make sure that you don’t want to. Mansour has now embarked on a game of cat and mouse with Facebook, as the social network continues to introduce new measures to stop users successfully exporting information about their contacts. No worries, a new version is on the making … I am bloody annoyed now, because this proves Facebook owns every users data on Facebook. You don’t own anything! If I were you, I would riot this to the media outlets again. Seriously … more motivation to figure out a different approach. We’re finding this latest Facebook farrago another reason to get the hell off the service, and we’re placing our hopes with Google+.